The Exodus Homes’ 2017 William Mangum Honor Card “Rise Up” is now available for the holidays. North Carolina watercolor artist William Mangum is a hands-on advocate for homeless people, donating his artistic skills and publishing gifts to make The Honor Card one of the most well leveraged charitable programs in the country. 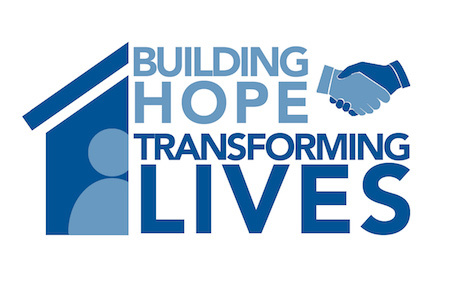 When someone buys an Honor Card for $5.00 or more, the card is given to someone to let them know that a gift has been made in their honor to Exodus Homes. Each card has information about Exodus Homes and about the Honor Card program. A chance meeting in 1987 with Mike Saavedra, a homeless man, changed Bill Mangum’s perspective on life forever. That outreach gave Bill a new view on how he would use his talent to help those less fortunate. As The Honor Card program continues to grow, Bill employs his artistic gifts, generating resources needed to help solve community problems and meet area needs. In its 30th year the Honor Card is utilized in fourteen cities and has raised nearly $7 million. Each year, The Honor Card features a contemplative painting by Mangum, one of the most respected and collected artists in the United States. 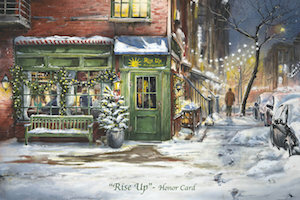 This year’s painting is “Rise Up”, and he hopes 2017 Honor Card sales will help Exodus Homes continue to do great work in providing faith based supportive housing to homeless recovering people returning to the community from treatment centers and prison. Churches and businesses are welcome to pick up packets of cards and displays at the Exodus Homes office. Money raised and any unsold cards left will be collected the week of December 29th. Individuals can buy cards and send them, or request an order form and Exodus Homes will send the cards. “Rise Up” Honor Cards and order forms are available by clicking this link and downloading an Order Form or in person at the following locations. Individuals and churches that would like to participate in the Exodus Homes William Mangum Honor Card program can contact Rev. Susan Smith at 828-962-8196 or revsusanwalker@gmail.com.